Orion’s parachutes will perform in ways no landing system for a spacecraft carrying humans has been required to do before. Because Orion will return to Earth from greater distances, it will reenter Earth’s atmosphere at speeds of more than 20,000 mph. 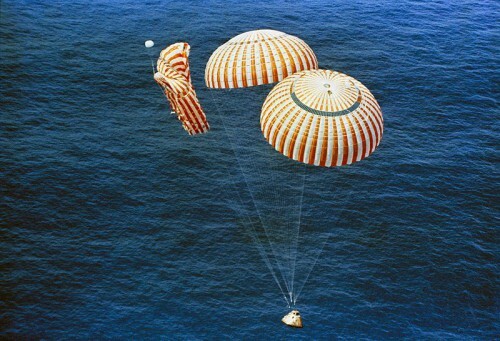 After re-entry, astronauts will rely on the parachutes to slow the spacecraft for a gentle splashdown in the Pacific Ocean. When a parachute fails: Apollo 15 splashes down on two chutes (Credits: NASA). 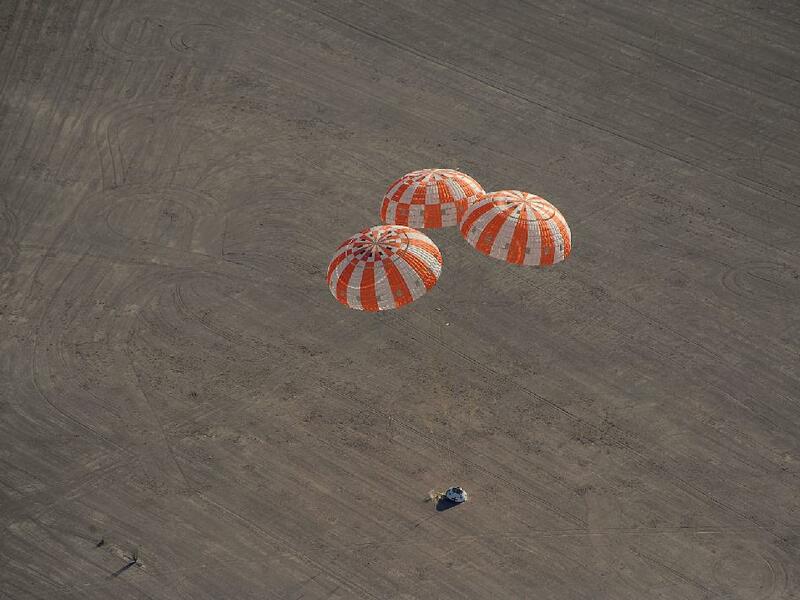 Tuesday’s test was the eighth parachute engineering development drop test. The next is scheduled for May. The system also will be put to the test in 2014 when Orion makes its first flight test. During the mission, an uncrewed capsule will travel 3,600 miles from Earth, farther than any spacecraft designed to carry humans has gone in more than 40 years.